Libraries.io is an open source web service that indexes data from software projects, analyzes the code, and maps relationships between projects. 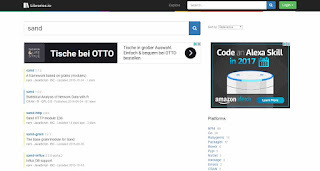 Libraries.io is a vertical search engine for programming code from the UK, founded in 2015 and developed by Andrew Nesbitt, Mauro Pompilio and Benjamin Nickolls. 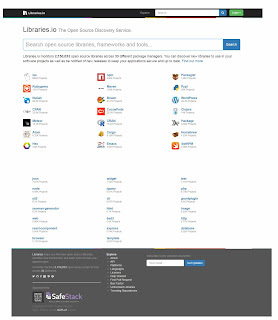 You can search in software packages and repositories. The results can be refined by license, programming language, keywords and platforms.